Here we are at the tail end of summer and preparing ourselves to gradually make the transition to cooler weather and different lines of colors on the shelves. This is an Apple Pie, spiced a little differently than the classic warm flavors of fall. Before I start writing any more, I owe all of you a very big apology. 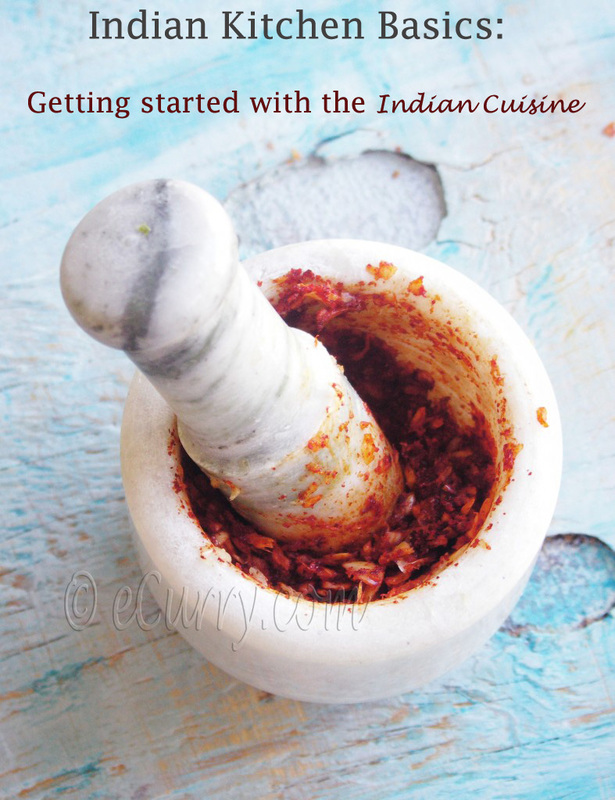 Few days back as I was editing this post, the busy fingers hit the wrong button and this post got published, with nothing but a half written recipe. I realized what I did in a few minutes, but even that little time was long enough to get all the readers/rss to get updated! So many of you came by only to be greeted by a Not Found or Nothing Found page. I was always afraid I was going to do this one day, and it happened and I can only hope now that it does not ever happen again. ‘Am very very sorry for the inconvenience!! Now let us move on with the hope that I won’t be so careless again. The elegant Pink Lady(s) have been gracing our home for the past few weeks. We have fallen for the crisp and sweet nature with a whisper of humorous tart in them. Apple Pies have always reminded me of the Fall. I love a good apple pie, but I love it even more when leaves twirls and rustles on the streets. The warm, homemade pies with flaky crusts, dancing whiffs of cinnamon and spices along big dollop of cream over a generous slice, is an image that only harmonizes with autumn in my mind. Having said what I did, a couple of weeks back a sudden urge compelled me to bake an apple pie; in the midst of summer. We are having a 100 degree F or more here for the past week. The fall only seems like a dream. I think I am ready for some cooler weather. That afternoon, I found five apples. It was time to go get more fruits, I thought. Schools would open in a couple of days and I was thinking of packing lunch and snacks for the girls. Before I knew it, I took out the flour and butter, as if in a trance. There seemed to be an invisible force ushering me; a bit scary too. I looked at the apples, the flour and butter on the counter top as if they were there forever…the few minutes seemed like eternity and at the same time, the present moments were happening fast. I was physically there and not there at the same time. I know this is making no sense at all. It did not to me either. Well I do not want to dwell on what happened in those few minutes. Intense desire in the sub-conscious probably makes one do bizarre things. I am not particularly thrilled about this feeling, for I like to know exactly what emotions drive me and how. It is best to think that the pie was meant to be. The unseen force kept rushing me from start to finish on this pie making day; in that state of untold enthusiasm I forgot to peel the apples. But I decided to remain quiet and no one complained when we ate the pie. It was blazing hot outside, and it did not quite felt the kind of time I would like to bake one. But I did. I got lemon thyme from the back yard. The ginger was brought out too, with arms which was trying hard to keep up with the running thoughts. 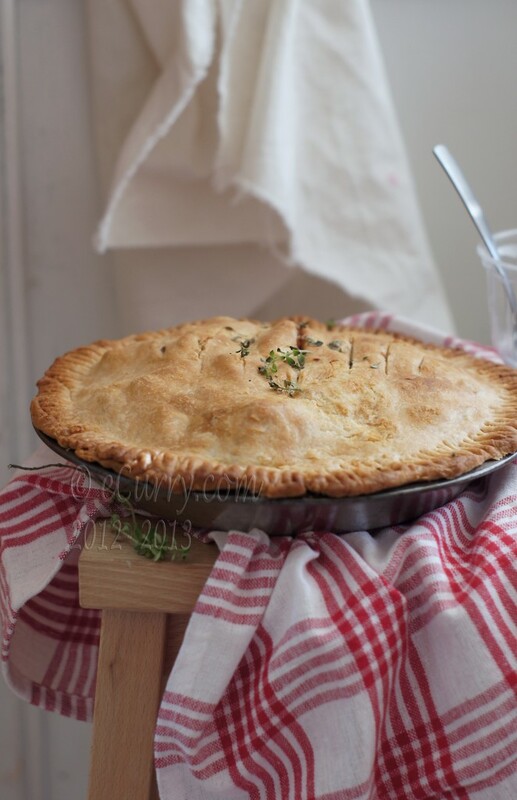 The pie was spiced with ginger and lemon thyme and also a tiny bit of cinnamon. 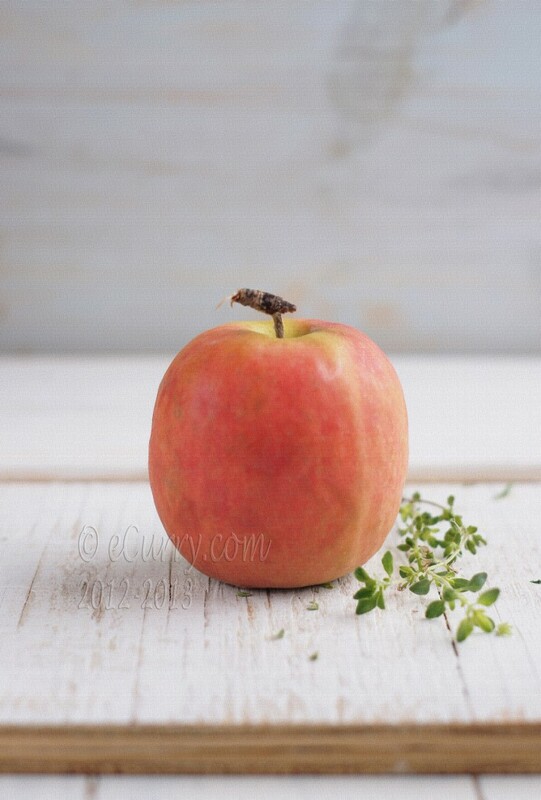 The lemon thyme is refreshing and earthy and along with ginger, it brightens up the flavor like a sunny summer day. No dexterity was involved in pleating or crimping the the pie crust. I simply used a fork to mark the edges. I had not made a good dessert in a long time. I find therapy when I am to myself and working with flour and kneading, looking ahead to something good of course at the end of it all. Even after all those moments in the “air”, the outcome was good and gratifying. It happened to be a very rustic pie; unadorned and not so pretty, but full of warmth and refreshing zest all at the same time. Note: If you do an egg wash on the top crust of the pie, before baking it brings a nice glaze to it. I have not used egg in this pie. Whisk flour and salt. Rub the lemon thyme into the flour with your fingertips. You cannot miss the aroma. If you are using a food processor, add the butter, sugar and the flour mix and pulse in second bursts until the mixture resembles coarse meal. 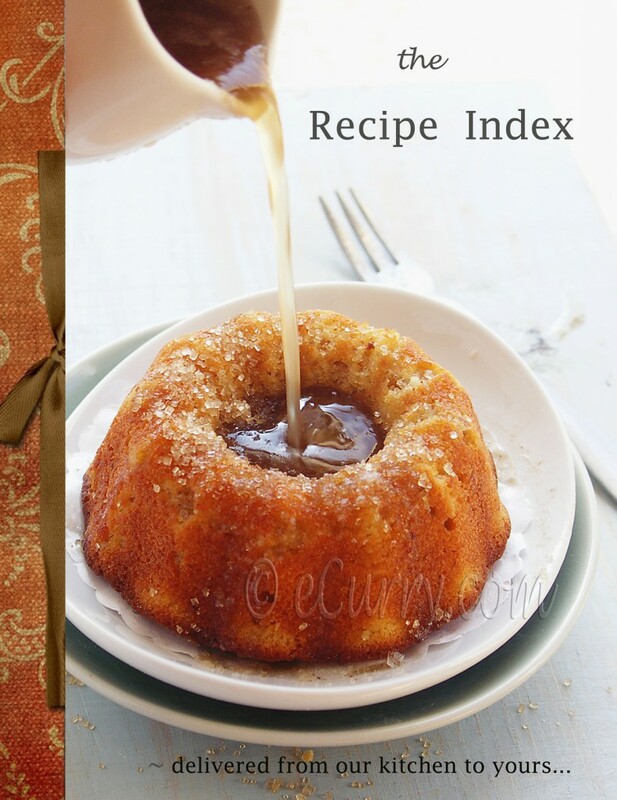 (If you do not have a food processor: whisk flour and salt: add the sugar and the butter to the flour. Using a pastry blender evenly distribute and reduce the pieces of butter with the flour until the butter is sized like peas. The flour should be looking like a coarse meal). Note that the flour mix will look uneven and there will be solid pieces of butter. This is required; when rolled out these solid pieces of butter will form streaks and make the crust flaky. Drizzle the ice water, a little at a time, over the dough (not the ice!) and pulse in 1-second bursts until it just comes together. (Use a spatula or wooden spoon to bring the dough together if you are not using the processor). Turn the dough out onto a flat surface; gather any crumbs and gently knead, preferably with the heel of your hand (just long enough to bring them together and form a ball). Too much handling of the dough will result in a not so flaky crust. Divide the dough in halves. Wrap each half in plastic and refrigerate until chilled, about 1-2 hours. In a large bowl, combine the apples with the sugar, spices and herbs and salt. Add the lemon juice and toss well. Let stand for 30 minutes to an hour. Strain out the liquid. Add a tablespoon of butter to the liquid and simmer it for a couple of minutes in a pan (or about 2 minutes in the microwave). This is an optional step. I like to do it as it reduces the liquid and thickens it so it is not runny. The consistency after simmering will be like a thick syrup. Combine this syrup with the apples. Remove one dough half from the refrigerator. Leave it on the counter top for 3-5 minutes to soften enough to be rolled. Dust the working surface with lots of flour and remember that you have to work quickly but carefully so the dough is still very cold and firm. Loosen the plastic cover and pat the dough into a flat disc in the wrap. Remove and place it on the work surface. Dust the top with flour. Press down with a rolling pin and roll out from the center. It might feel as if the dough is really tough at first, but after a few rolls it will soften (you do not want it to soften too much). Carefully lift and make a quarter turn to the the dough and roll out again. Continue until you have about a 11-12 inch circle, about 1/8 inch thick. While rolling dust generously with flour as needed. When done, gently lift and fold the dough in quarter and place it on the pie pan and center and unfold it. The edges will be hanging over the pie plate, which is okay. You will need to fold it in, or crimp (making “V” like pinches with your finger) it. I have just folded it in. Now remove the other dough half from the refrigerator. Roll out the dough in a 12 inch circle in the same way you did above. 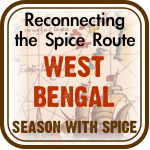 Transfer to a wax paper–lined baking sheet and refrigerate. Scrape out the apples with the syrup into the pie plate and dot with the rest of the butter. Remove the rolled out dough from the refrigerator and place it over the apples in the pie dish. Pinch top and bottom of dough rounds firmly together. Trim excess dough with scissors. Fold the ends of the top piece of dough over and then under the edge of the bottom piece of dough, pressing both the edges together. Press down with a fork to make patterns (what I did) or flute/crimp decoratively. Brush the pie with some melted butter and if you wish you may sprinkle some turbinado sugar. Score the top of the pie a few times to allow the steam to escape as it bakes. Bake the pie for 30 minutes. Lower the oven temperature to 365° and bake the pie for 30-45 minutes longer, or until you see the juice bubbling through the scores you have made in the crust. The crust will be deeply golden on the top and bottom. While baking, during the last 20 minutes you may cover the pie loosely with foil to keep it from getting too dark. Transfer the pie to a rack and let cool for at least 2 hours before serving. (if you do not allow the pie to cool before slicing, it will fall apart). Serve with a dollop of fresh cream or ice cream. We had ours just by itself. That looks amazing Soma! I did get that error… Haha… I’m sure we’ve all had things like that happen to us. In fact I have been down all day today. Not due to anything I did, I might add but due to some hardware failure at my host. I could seriously use some of that apple pie to sooth my anger! Love the ginger and lemon flavors in this too! That pie sure is a looker! Spiced-up apples in a delectable crust..with fall almost here, there’s not much that’s better than that. My kind of a pie! Regarding “the odd moment”, I don’t know if it is anything similar, but the best way of cooking, for me, is when I have random ingredients in front of me and I study them: try to understand their qualities and the nature of reciprocation with other elements. And then, BAM, I know exactly what to cook or bake with them. It is a short journey from no idea to perfect idea. I call it surrender. It is a moment of giving up control and becoming an instrument. The crust looks flaky and light. An inviting pie! 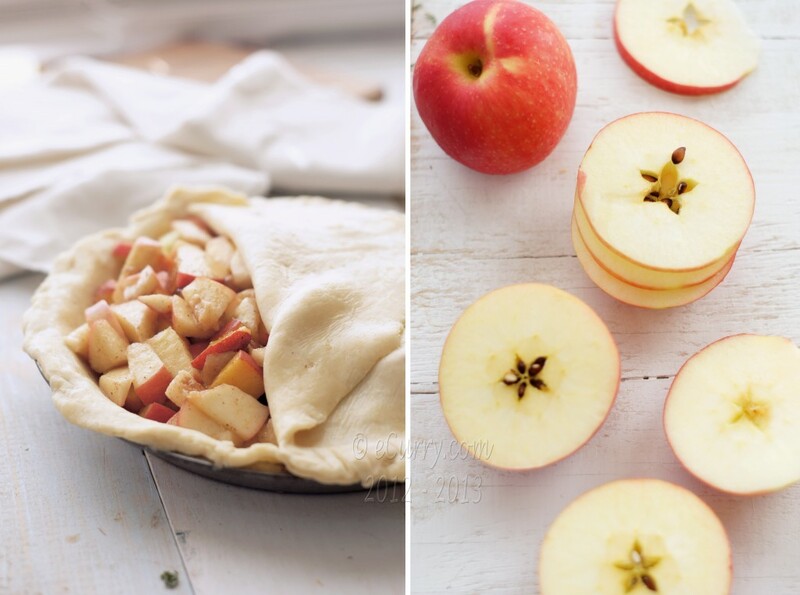 What a great combination and take on a traditional apple pie. I love it! 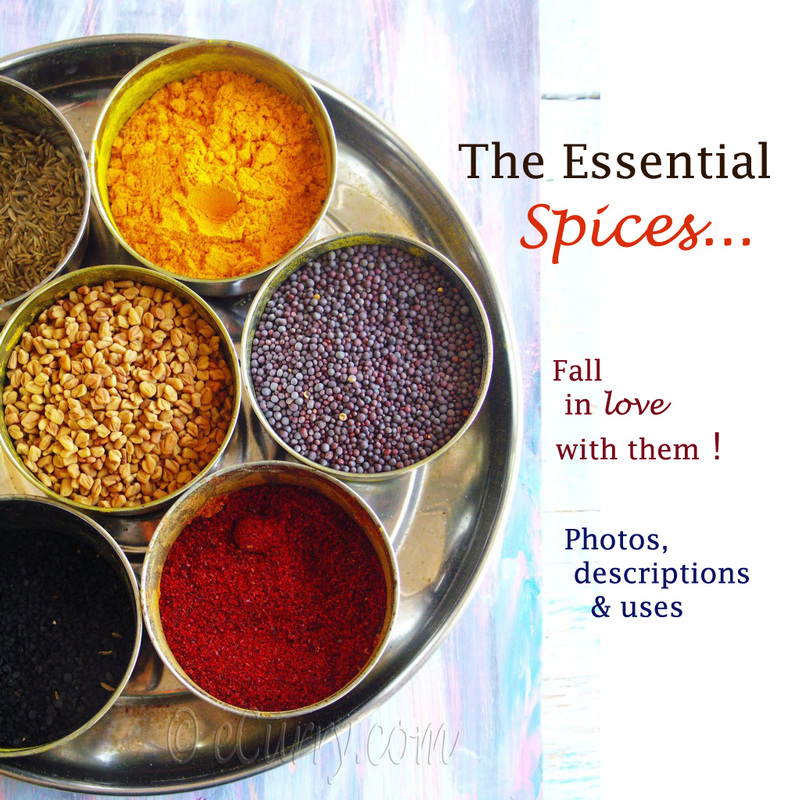 Your photos are beautiful and the recipe is a winner. Thanks for sharing. 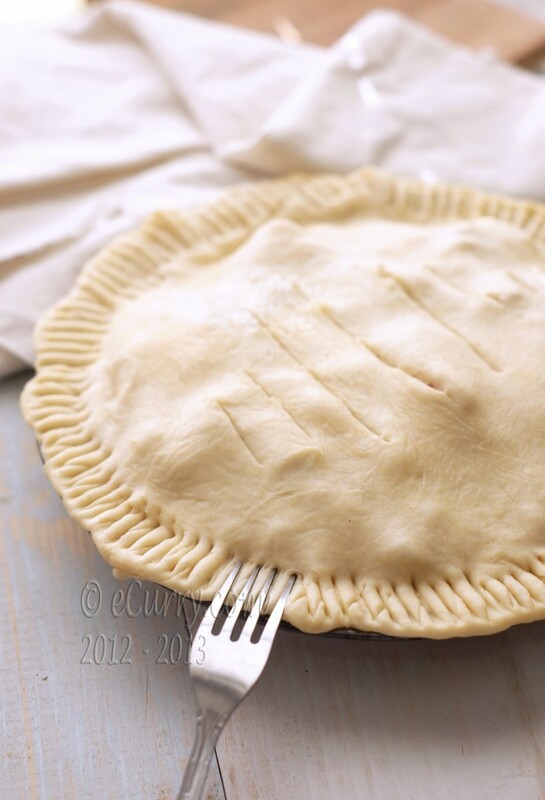 I have been itching to make some apple pies for look here you beat me !! Looks so inviting. Don’t be apologetic Soma….It happens sometimes..
*for a while and look here..
I’m speechless. What a gorgeous post. As the weather is getting cooler, I am once again interested in baking some treats. And, I am trying to find the perfect pie pastry recipe. For sure I am going to give this a try. What a beauty! 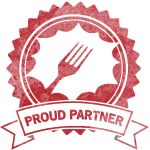 The flavors you chose are fantastic. 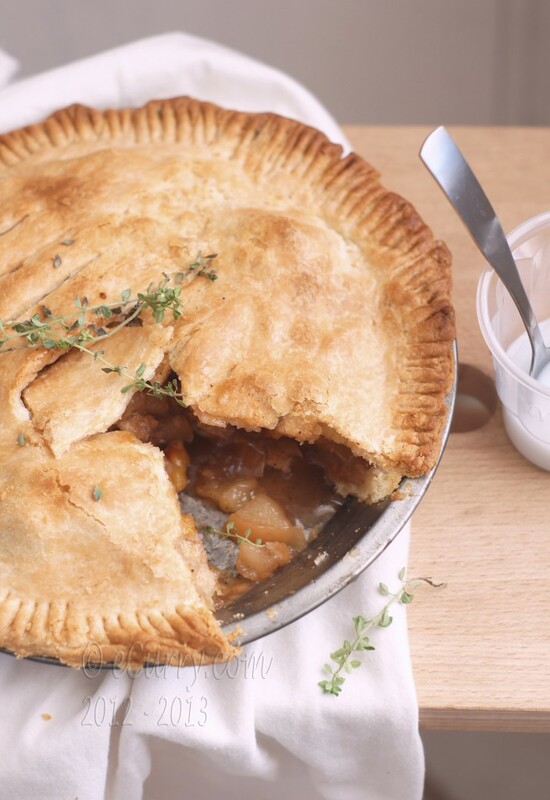 I’m a sucker for pies, aples, ginger, lemon and thyme. 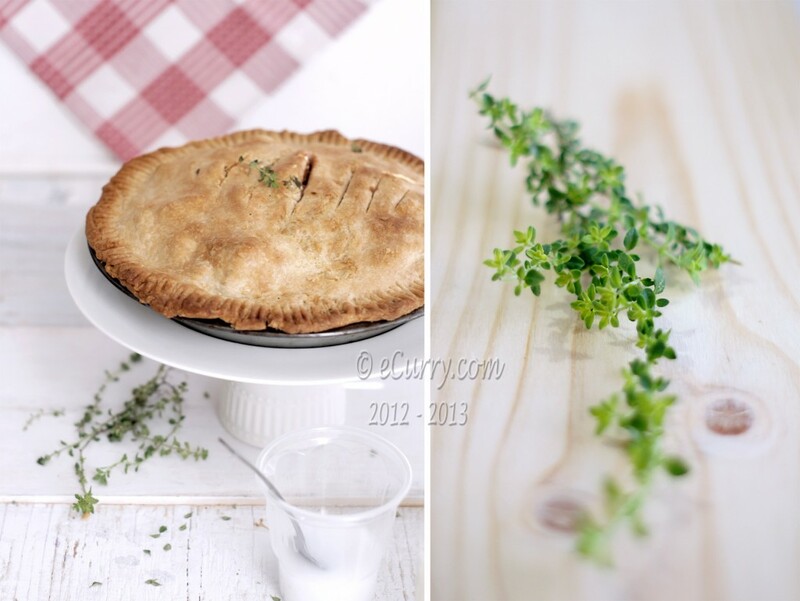 Gorgeous pie… and the photos are superb. 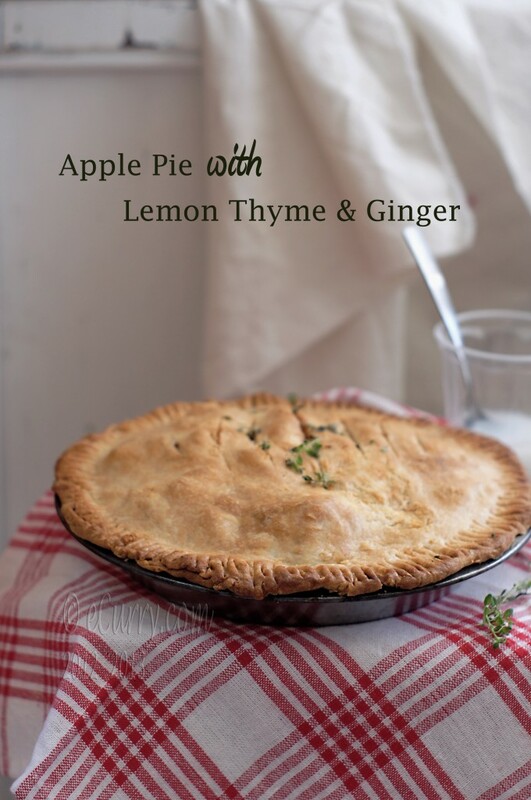 I am loving the usage of thyme and ginger in it. Beautiful styling Soma and the pie looks perfect! This is a very good looking pie! What wonderful pictures! such a perfect pie …. Such divine flavors Soma. I am loving this pie. I have been in a bit of a pie frenzy too lately so this comes at a great time, with our apple trees bursting with fruit! Awesome!